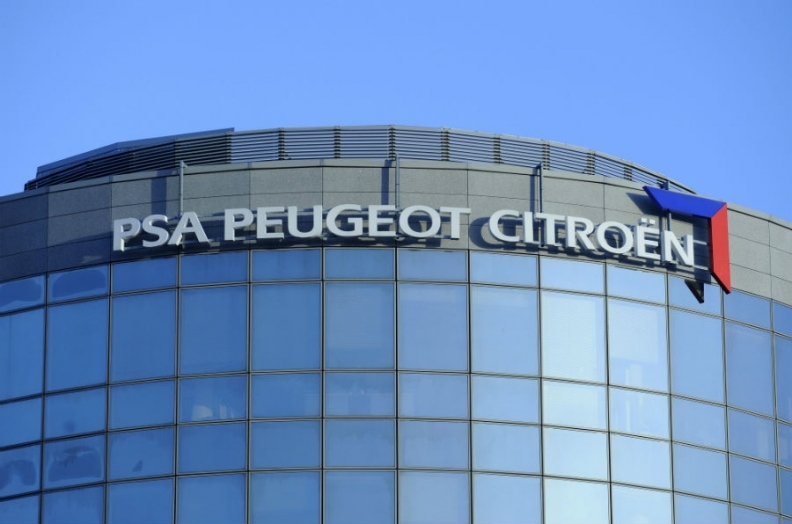 PARIS (Reuters) -- PSA/Peugeot-Citroen today said it will invest 300 million euros ($408 million) to revamp and shrink its Mulhouse plant in eastern France, as the carmaker begins work on a recovery plan under new CEO Carlos Tavares. PSA briefed unions on the introduction of two new large cars and a compact model - most likely for its premium DS brand - as it downsizes the second-biggest domestic plant to one production line. "This project is great news for the Mulhouse plant. It's also a huge challenge for us because upgrading the manufacturing process will make it possible for us to become one of the best European plants in the C and D segments, with superior quality and competitiveness," said plant manager Corinne Spilios, in a statement. Laurence Navarro, a CFTC union official at the factory, said: "This is a relief for us because it means we now have a future beyond 2020." Unions now expect jobs to go in Mulhouse, which currently employs 7,550 workers, as production falls below 200,000 vehicles next year ahead of the first new model due in 2016. Managers pledged to stabilize output around that level but declined to give employment guarantees, staff representatives said. The Mulhouse investment may spell bigger cuts at PSA's factory in Rennes, western France, which currently builds the Peugeot 508 large car and its station wagon version. Rennes, which employs about 4,000 workers, so far has only one new model confirmed, a successor to the current 5008 minivan. The plant has already been cut to one production line, with Poissy near Paris to follow suit next year. The new PSA models at Mulhouse will be based on the company's new EMP2 architecture designed - like Volkswagen's modular MQB underpinnings - to allow a broader range of vehicles to be developed and manufactured from common parts. Under Tavares, who formally took over from Philippe Varin in March, Paris-based PSA has sold stakes to Chinese partner Dongfeng Motor Group and the French state, raising 3 billion euros to fund its turnaround plan. After losing more than 7.3 billion euros in the last two years of a prolonged European slump, PSA has pledged to slash model lineups and costs in pursuit of a 2 percent operating margin for 2018, rising to 5 percent by 2023. The company will use a competitiveness deal struck with unions at the height of the crisis to reduce costs and headcount while doubling the supply of parts from lower-wage countries and "rightsizing" French sites, Tavares also said on April 14.